Jamiroquai is a funk/acid jazz band which formed in London, England, United Kingdom in 1992. The band currently consists of Jason 'Jay Kay' Cheetham (vocals), Matt Johnson (keyboards), Rob Harris (guitar), Paul Turner (bass), Derrick McKenzie (drums) , Sola Akingbola (percussion), Lorraine McIntosh (backing vocals) and Hazel Fernandez (backing vocals). 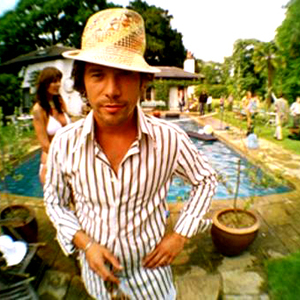 The name "Jamiroquai" is derived from the Native American Iroquois tribe, with which Kay has said he identifies philosophically, combined with 'Jam', as in musical jamming. After Jay Kay auditioned unsuccessfully to be the singer of the Brand New Heavies, he decided to put together his own band. Jamiroquai's first single, "When You Gonna Learn? ", was released in 1992 on the Acid Jazz label. Following its success, Kay signed a ?1,000,000 eight-album record deal with Sony BMG Music Entertainment. The band enjoys worldwide popularity and is the best-known member of the early-1990s London-based acid jazz movement, alongside groups such as Incognito, Galliano, and Corduroy. Jamiroquai has since, however, moved in other musical directions.